Recently there has been a surge of programs that are viruses of a different kind. These not only become hurdles to accessing your files and programs but also demand random in return. There is little that you can do if you are unable to remove these programs from your computer. This breed of virus programs are known as ransomware that lock up the files and applications of a user’s system that they infiltrate with encryption technology. Locky virus is one such program. Locky virus will infiltrate a user’s system and encrypt the files and applications. The program hinders access to important files and applications. The ransomware uses an encryption method that is unique and different from other ransomware programs. AES-128 is the encryption technology that is used by this ransomware. It is definitely a difficult code to crack as it is military grade technology. The program, like other ransomware programs, will issue a recovery instructions text which asks for ransom to be paid in order to decrypt the files. Many might feel vulnerable and decide to pay up. However, in trying to do so, one will create further damage and make themselves more vulnerable. Usually systems that are infiltrated by the Locky virus will have Trojan software viruses as well. Hence, when you log into accounts with such a virus in the background, your login details and accounts will be exposed. People who pay up might be able to recover their files or might fail to do so. Again, the money will only help the criminals to fund their spurious attempts further. There is no guarantee that your files will be given back in decrypted form. Hence, you might still keep looking for a solution to the “locky datei” problem in your system. If your PC has been performing poorly and takes a long time to load, this could be a sign that it is already infested by the virus and the encryption process has begun. Applications being encrypted take a long time and demand more of CPU resources. The encryption will pose as windows programs. 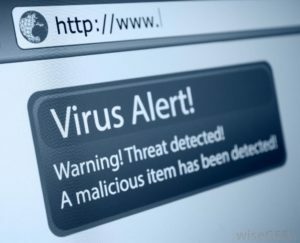 If you see these signs then it is best to shut down the processes, pull the plug and call in an expert to decode the viruses from your system. Usually Locky ransomware is accompanied by a Trojan virus. Hence, it is best that you have an active malware monitoring program on your computer. This will be able to identify and contain Trojan viruses. It will also help to delay or inhibit ransomware applications. Ensure that you update your antivirus program regularly so that latest antivirus patches are updated in it. There are many companies like Keonesoftware that have come up with decrypt Locky virus tools. You can look up reviews and ratings of these solutions before you opt for one. Choose the tool as per the operating system and hardware platform you possess to have greater chances of success. Previous Entry: How TeslaCrypt Virus Effect Your Computer? Next Entry: Worried About Ransomware Cerber Virus? Previous Entry How TeslaCrypt Virus Effect Your Computer? Next Entry Worried About Ransomware Cerber Virus?